Crossroads > Our Physicians > Rupal Desai, M.D. Our Physician - Rupal Desai, M.D. 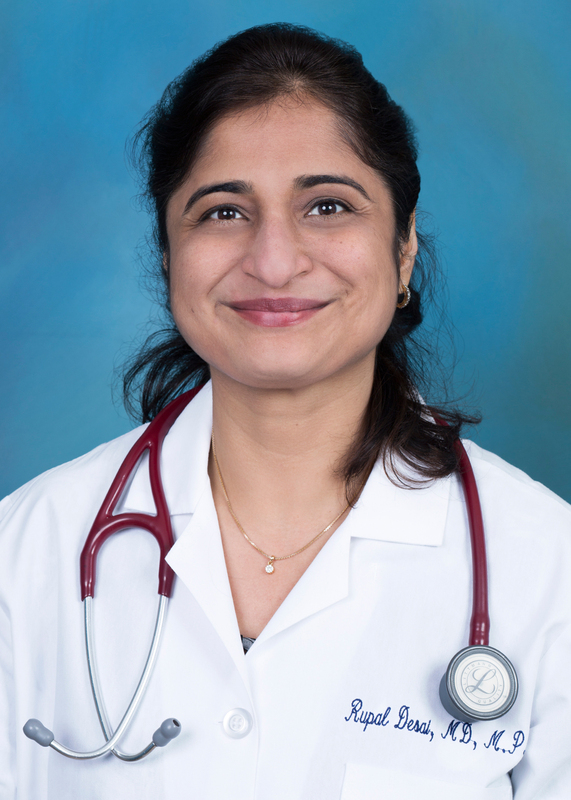 Rupal Desai, M.D. received her Bachelor of Medicine and Bachelor of Surgery degrees from North Maharashtra University in India. Dr. Desai received a Masters in Public Health from Yale University in 2000 with an emphasis of study in chronic disease epidemiology. Her research was on breast cancer risk factors. Dr. Desai completed her Internal Medicine residency at Greater Baltimore Medical Center in Maryland. She received her board certification in Internal Medicine in 2004 and has been in private practice since that time. Dr. Desai received certification in Cardiopulmonary Stress Testing from UCLA in 2008.